Like the EN 1143-1 standard — and all other European standards — EN 1300 is decided upon by the European Committee for Standardization and enacted in every EU member state. It covers all types of high security lock, including standard key locks, electronic locks and mechanical combination locks. Each lock is tested in numerous ways, including tests to ensure it operates as it should, as well as tests to determine its reliability and its ability to resist manipulation. Strict requirements exist for certain types of lock. For instance, a key lock cannot have two levers of the same height side by side. 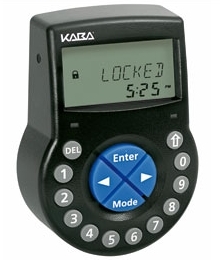 Battery powered electronic locks must be able to operate for at least 3000 complete lock openings on a single charge. Uniqueness of key/code: Only the key designed to open the lock should be able to open the lock. The testing house will attempt to open the lock using a key that is slightly different to determine if such a key can force the lock to open. In the case of mechanical combination locks, tests are performed to determine if an incorrect code might still open the lock. Resistance to manipulation: The testing house uses a variety of tools, ranging from lockpicks to optic probes, and attempts to manipulate the lock in such a way as to open it. To do so requires bypassing all the security features in the lock. Destructive burglary resistance: The lock’s ability to withstand a brute force attack using hand tools such as hammers, screwdrivers and chisels. Locks are also subjected to drop tests, vibration tests and temperature endurance tests to determine their ability to withstand various environmental factors. Certain locks, particularly electronic models must endure a range of tests to assess whether they can withstand electrostatic discharge, power failures, variations in their power supply’s voltage, power surges and other electromagnetic anomalies. Once the testing procedures are completed, locks are given a classification based on how well they have performed and the level of security they provide. The classifications used are Class A, Class B, Class C and Class D, with A being the least secure and D being the most. The class of lock used on a safe varies depending on how much burglar resistance the safe is meant to provide. Class A locks provide an ample amount of security for most homes and offices, and are used on Eurograde safes up to Grade II. 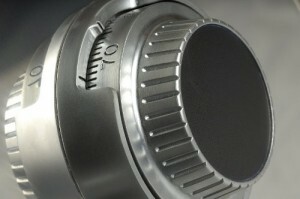 Class B locks are used on Grade III safes. Two Class B locks must be used on Grade IV and V safes while two Class C locks are used on Grade VI and above. Class D locks are reserved for specialist applications such as strongroom doors. EN 1300 approved locks may also be fitted to products such as filing cabinets. Purchasing a safe or other product that includes and EN 1300 lock is an excellent way to ensure you get the security protection you need. Remember, all Eurograde safes are fitted with EN 1300 approved locks.